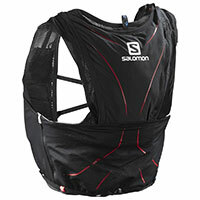 Bogong Blog - Trail Running: How Much Water Should You Carry? Trail Running: How Much Water Should You Carry? 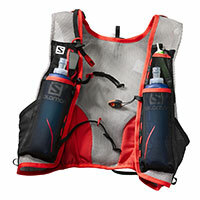 Hydration: This is the most common trail running topic we get asked about at Bogong Equipment. How much water do you need? It may be tempting to carry more water than you need. But, this means you’ll be running with a lot of extra weight, which isn’t practical or wise. My advice is, think logically. Examine the run you intend to do. What water sources are available? How warm is it? Are you bigger or smaller? Water requirements can vary according to the size of a person. Road runners are used to regular aid stations and shorter distances or lengths of time running. So, it can be confusing knowing how much water to take, whether you’re doing a 20K training run or a big trail event. To guide you, we’ve outlined four scenarios. How much water do you need for a short, easy trail run in a relatively urban environment? Yarra Bend Park, for instance? If 6K isn't a long distance for you to run, you might not carry a drink. Especially if you're a well-conditioned runner. Most well-conditioned runners can run up to two hours without a drink. This might not be true for you if you're new to trail running. For beginners, carrying a small bottle or two might be a good idea. Another example of a place you could run without carrying too much water is the You Yangs, in Victoria. You would normally never run too far from the starting point of your run as the crow flies and likely be sharing trails with other walkers, runners, etc. One strategy I've done is laps on the trail. I've run back to the car (my starting point) and refilled each time to minimise the amount of fluids I need to carry at one time. Trail running events commonly have aid stations along the course. 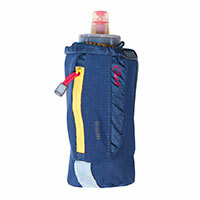 This means that you’ll only need to carry as much water as you think you’ll need between aid stations. As an example, when I ran the Surf Coast Century 50K, I carried 1L between aid stations. There was an aid station at the halfway point. There, I refilled my hydration bladder to carry another 1L for the second half of the race. Again, this isn’t a hard-and-fast rule. I felt that this amount of water was as much as I – specifically – needed. A lighter, or heavier, or less- or more-conditioned runner might need to carry a different amount. At organised events, the higher the participant numbers, the more support tends to be put in place. Obviously, if there are more aid stations, you can carry less water. Water tanks and creeks are sources of water on a remote bush run. 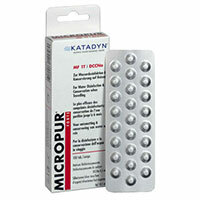 I carry water purification tablets for added safety. I might not use them, but I’ve got them as an option. They come in handy if I’m fatigued, didn’t bring enough water, or I’m out for longer than I thought. If I was running in a rugged park like Lerderderg State Park or similar, there’s a good chance that nobody would pass me for at least half a day or even more. In this situation, I carry extras, like a survival blanket, mobile phone and extra water. Mountain races are an example of a situation where managing fluids and fuel intake is essential. Creeks and water tanks at huts may help, but they can't always be fully relied upon. For example, at the Razorback Run in 2013, I set off with 2.5 litres of water and sports drink. The course shoots straight up Mt Feathertop, then drops down to Diamantina Spur. By that time, you’ve been running for 2.5 hours, minimum. Then you run up, over the High Plains (and there’s no water there), all the way across to Cobungra Gap. That’s perhaps another hour. By the time you reach an aid station, you’ve done 40 kilometres, 3000 metres of ascent, and been out for five to six hours running in not much shade. When I ran it, the temperature was in the high 20s! In summary, consider all the elements. Make an educated decision on how much water you need to carry, based on the remoteness of your run, your fitness level and what water is available where you’re running. Also, it’s better to think in time, not distances. A 6K hilly, rugged bush run takes a vastly different amount of time to running a relatively flat 6K on wide, heavily maintained trails. It’s wise to wear a good watch when you’re out on the trails. Not only can you keep track of time, but many watches out there should be able to record distance, elevation and even GPS location. Foot note: Train and practice. The more time you have with your gear and testing hydration methods, the better tuned you'll be to your body's requirements for whatever distance you plan to do. Stephen Upton is the manager at Bogong Equipment.